City: Community of Kenwood outside of Morrilton. 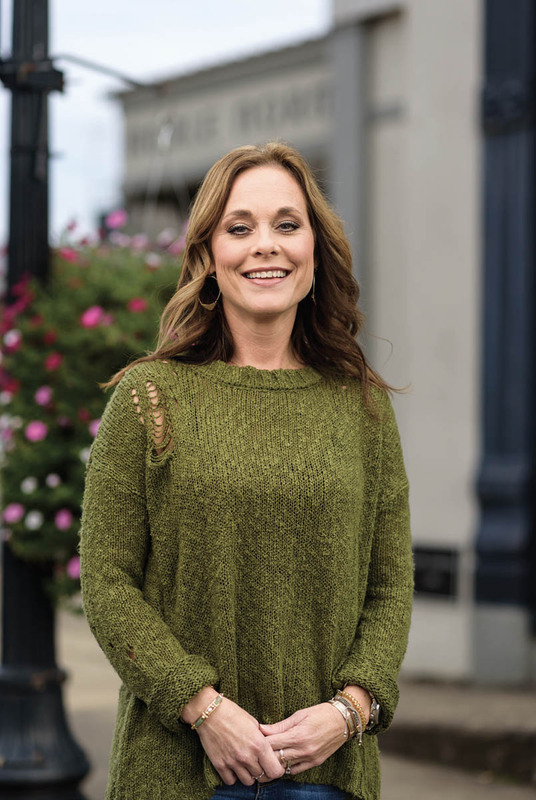 Work: Owner of Merle Norman & More in Downtown Morrilton. Community activities: Board member, Morrilton Area Chamber of Commerce; event committee chairman and sustaining member of Century League. Church activities: Member of Sacred Heart Catholic Church, Sacred Heart School Development Board and booster club. Family: Husband, Kylan, and daughters Karlee, 15, and Kambree, 10. Education: Graduate, Sacred Heart High School; bachelor’s degree in business administration and marketing from the University of Central Arkansas. Last book you read: “The Shack” by William P. Young. Most cherished possession: A picture of my parents and siblings taken Easter 1992 and a tiny jar of soybeans from my dad’s final harvest. Most enjoyed weekend activity: Just getting to stay home with my family. No. 1 vacation spot: Anywhere at the beach. Favorite place in Arkansas: Kenwood, because it is home. What do you love about living in the 501: I love the beauty of this area from farmland to mountains. You won’t find any better people but what I love most is my family is all around me.